A recent article in the Harrow Times I stumbled upon hasn't brought new year cheer. Professionals Carla Khan, Farjan Rasheed and Middlesex under 19 number one Nikhil Shah are among the regulars at Harrow Squash Club who use the facilities. The redevelopment will cut the number of courts from 8 to 2. The loss of the courts would have a sad irony. 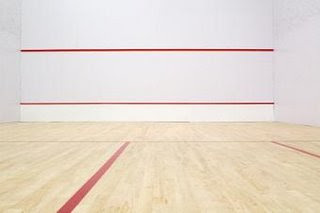 Squash was invented in Harrow School around 1830 as an outdoor variant on rackets, and when the game proved popular, the first four squash courts were constructed at the school in 1864. Many members of the club have commented on the proposals (follow the link below), as it appears that Harrow Council have not consulted the squash club.